March was a month full of travel and conferences for the members of LHQS! Immediately following our trip to Los Angeles for March Meeting, Heejun, Kostya and Johannes jumped on a plane headed for Mishima, Japan to attend the the 2018 International Workshop on Electrons and Ions in Quantum Fluids and Solids. The workshop was a wonderful success and gave us the opportunity to showcase the recent results from the lab, hear about the exciting science our colleagues from around the world are doing, and enjoy some really delicious sashimi. Thanks to Kimitoshi Kono, and the sponsors, for putting on a great workshop! The full program for the workshop, listing all the talks, can be found here: EIQFS 2018 Scientific Program. Every morning we got to enjoy a beautiful view of Mt. 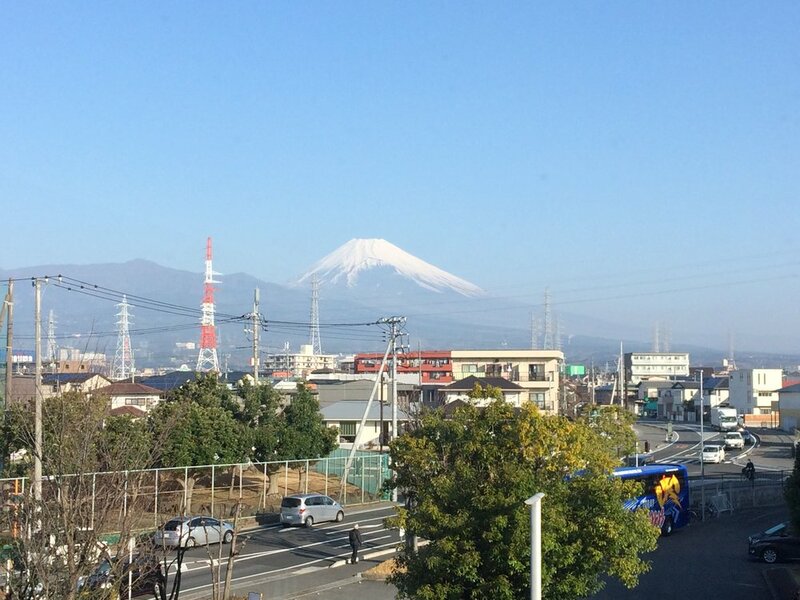 Fuji (see image below) before the start of the day's scientific session.